We are on Episode 206 of the Marketing for Owners Podcast and that may sound like a lot, but the reason I manage to do so many of these is because I can delegate. If you’re the typical, common type A personality — the type who wants to do everything, who needs to make sure everything is going to be just so, and it HAS to be perfect, then you are eventually going to burn yourself out. You are going to get in your own way. You are going to become the problem that you won’t even realize you have. You need to learn to delegate, but it’s not easy — it is a skill and it’s something like with a lot of things — it’s something that you just need to do. Once you do it again and again and, then you will get better and better at it. Another thing with delegation is that delegation is not necessarily outsourcing right? In an internet run business, or running a business from home online, you hear a lot about outsourcing but personally I think outsourcing is something else. So you tend to outsource a task to a specialist that you don’t necessarily have a relationship with on freelance sites such as Freelancer.com, Fiverr, and Upwork.com (which used to be called Elance). Things like that you can outsource a task, but that’s not the same as delegating a task. Delegating in my mind is when you give the task to somebody who is a member of your team right? You delegate it off to somebody else who is a member of your team so you can get something else done for a better use of your time. When you outsource a task they quite often tend to be one-offs. You might not go back there again. So my tip for better delegation is not to just tell the person what you want them to do, but to actually have them do something that they want to do. That they want to help you with so that means it’s a two-way thing. You need to talk to them. Now if that person is not local then sit down over a cup of coffee and chat on Skype. Get them on the phone and have a meeting and make sure the meetings are two way okay? So, explain first of all what the problem is and the problem is do not be shy. Don’t think oh gosh I can’t tell them. Be transparent. People like real people, okay? They like people to be genuine so be transparent and explain what your problem is. It’s much easier to get people on your side when you can explain the why when they can understand the reasoning behind it then it doesn’t become an order or an instruction and quite the same way as other things did. So explain why it’s getting in your way and you explain why it’s important — about why it needs to be done and then tell them — “I’d like you to take this off my hands if you can” and then ask them if that is something they would be able to help with. Then have the two-way discussion. Explain how you would like it done, and then ask how they would like to accomplish it? Now something very important as well is, you need to give people freedom. If you are asking somebody else to do something for you, they don’t necessarily need to be told exactly how you would do it. They can be told how the process works or what the standard process is, but it may be helpful if you ask them to follow the process and improve it. Remember you’re possibly doing it the way you think it should be done. Somebody else may have a better idea. You may not have asked. So ask for it to be improved but remember get that two-way discussion going and come to an agreement. The next thing is– the two of you need to agree on a deadline. Ask them when they would be able to have the task done. You can also give them a time that you need the projected completed by as well. You’ll be surprised how often someone will say I can do that this afternoon. Be surprised. So agree a deadline. Then send a summary of what you both have agreed to. This is then not instructing. This is delegating because the other person has to agree. You have had a two-way discussion and you’ve agreed between yourselves. This is much much better than being a tyrant. The other thing is is that person will respect you for your management skills. Believe me people like effective managers. People do not like to work for wishy-washy managers, co-managers and this is the same with many things in life — people respect strong management and strong management is effective management. So this process works. We’ve used this for years. This came from The E-Myth Book — an actual fact from a course I did and it works — we use it all the time. We write down when we delegate and get people to actually sign a simple little agreement for the delegated task. Then their manager can come back on the deadline and go over how it was done. Overtime caught off the knees this delegated task then becomes a permanent delegation. That’s now a permanent part of their job that’s how it works. I recommend that you try this because once you’ve done this so much the weight lifts off your shoulders. If you don’t have a team get an assistant. Get somebody to do a couple of hours a day a week. Find an assistant and start with somebody. There are many virtual assistant’s offices. These people are fantastic. It’s what they do for a living so remember that. Try it. This will expand your business. Do you think Richard Bronson doesn’t delegate? Remember this is something that will become a talent. You just got to get started okay? I did mention that today is Monday and that means that we’re having a book for the week. Now this is a classic. I believe what it says on the title that at least 25 million have been sold — I’m sure it’s many many more. 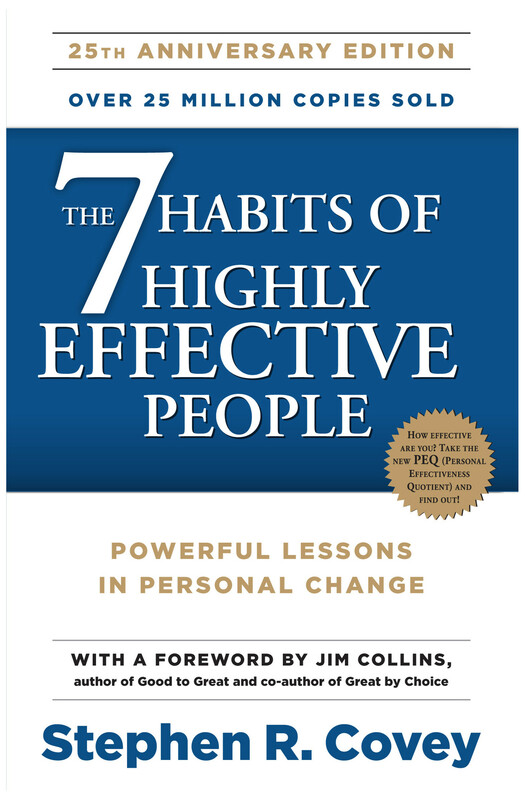 The book is called the Seven Habits of Highly Effective People by Stephen Covey. Unfortunately, Stephen Covey passed away, I think it’s last year, but his son is continuing with the business. It is very effective. Now the Seven Habits of course I studied — and we figured out the Seven Habits. I’m not going to tell you what they are because you’re going to have to read the book but you should. It’s on those should be read lists. My favorite Habit No. 5. I will tell you is “seek first to understand, then to be understood” and that’s quite often the way I run my business. I need to know how something works so that I can then explain to somebody else how I want it done. That’s so how I work many others are different that works for me. I don’t necessarily need to have done or to be an expert at it I just need to get the just differences I know the general things of search engine optimization. Do I do it myself now I can instruct others what needs to be done? It’s a fabulous book. I strongly recommend it. I’d love to know what you think. Just send me an email. 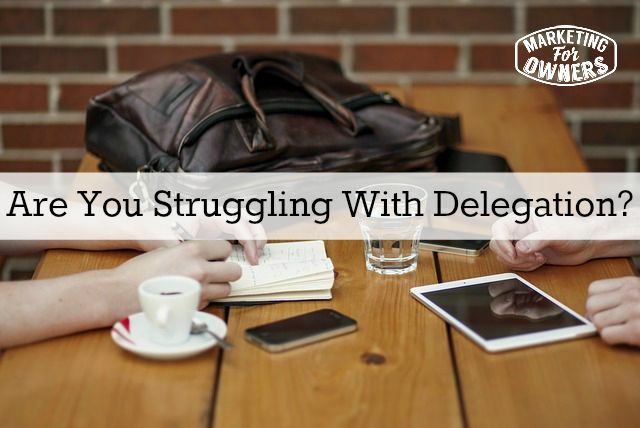 What do you need to delegate?